Looking a bit closer at the underlying Hebrew, we discover this term shavua. Shavua, (shavua) seventy (shaviym), are determined (chathak) upon (al) the people (am) and upon (u’al) the city (ayar) sacred (qodesh), to restrain (kalaw) the transgression (ha’pesha), seal (chatham) offence (chattath), cover (kaphar) sin (avon), and to bring (u’la’ha’bo) righteousness (tsadik) forever (olam), to seal (chatham) revelation (chazon) and the prophet (u’navi), and to anoint (mahshak) the sacred (qodesh) holy ones (qodeshiym). The term shavua (שָׁבוּעַ) is derived from the word shava (שֶׁבַע) which means generally seven, or by implication a week (seven days). The difference between the two words is the inclusion of the letter vav (ו). The vav denotes a special use of the word shava – not just seven, but a particular seven. That is to say not just seven, but the seven. There are several sevens which may be considered. First, it could denote weeks; this is the form that has been interpreted in all English translations of scripture, i.e., seventy weeks are determined . . .
Second, it could mean weeks of years, which is a common understanding of the term in the cepher of Yovheliym (Jubilees). For instance: “And in the seventh week in the first year thereof, in this jubilee, . . .” (Yovheliym 7:1). The semantics then read as the first year of the seventh week. This can only be understood as the first year of the seventh week of years. Now consider Daniye’l 9:24 – “Seventy weeks of years are determined upon your people and upon your holy city, . . .” This understanding then gives us a prophecy of 490 years. It is this 490 years that is the source of the difficulty with the Jewish calendar, as the understanding of this prophecy in Talmudic literature is the time from the destruction of the first temple (beis hamikdash rishon) to the time of the destruction of the second temple (beis hamikdash sheniy). Yet, the Gregorian calendar gives us a period of 754-756 years, which creates an irreconcilable difference of 264-266 years, assuming that 586 or 587 BC was the actual date of the destruction of the First Temple. So it is in the compression used in the Jewish calendar system derived from the Seder Olam that we find a difference of opinion. Even after a certain rate every day, offering according to the commandment of Moshe, on the Sabbaths, and on the new moons, and on the solemn feasts, three times in the year, even in the feast of unleavened bread (matza מַצָּה), and in the feast of weeks (shavu’oth השׁבעות ), and in the feast of tabernacles. The term shavua then is the singular of the word shavu’oth, which is the feminine plural of the word shavua, and means in this context, the feast of weeks. How many weeks? Seven weeks (49 days) from the feast of bikkur (first fruits), which occurs on the first day of the week (Sunday in the modern vernacular) following the Sabbath within the feast of Matza (a seven day moed). Seventy feasts of weeks (shavu’oth) are determined upon your people and upon your holy city, to finish the transgression, and to make an end of sins, and to make reconciliation for iniquity, and to bring in everlasting righteousness, and to seal up the vision and prophecy, and to anoint the most Holy. This yields a prophecy of 70 years, not 490 years, nor 1 -1/2 years (70 actual weeks). You recall that the Babylonian captivity was exactly 70 years. Consider that the qodesh qodeshiym (the holy, holy ones, or in the Catholic vernacular, the Holy Saints) were to be anointed following these seventy shavua. If this is a prophecy concerning the anointing of the Levites who would then administer the sacrifices at the Heykal Sheniy (Second Temple), then we have a complete fit – the transgression described throughout the book of Yermiyahu of the House of Yahudah is finally finished, those sins being ended, Yahuah reconciling Himself to His people, bringing the Torah once again to the people to instruct in everlasting righteousness (see Ezra 7-10), and to seal up this vision (consistent with Daniel 12) and the prophet (the Hebrew is singular here), and to anoint the holy, Holy Ones (and the term is plural in the Hebrew, i.e. qodeshiym). While no one would argue that it was only seventy years from the destruction of the first temple to the destruction of the second temple, one could readily argue that it was 70 years from the destruction of the first temple to the rebuilding of the second temple. If this is considered to be the only genuine application of this prophecy, the rendering of the Jewish calendar system derived from the Seder Olam is moot. In addition, the traditional account of Jewish history shows a dramatic discontinuity in the calendar system beginning in the 35th century (2nd century BC) by the reckoning thereof: The account of the Seder Olam is complete only until this time. It is assumed that Jewish dating systems arose after that, sometime in the 35th century (around the rise of the Yerushalmi Talmud; the writing of the oral law), so that written historical records would have existed only from that time onwards. The Minyan Shtarot system is consistent with that assumption, and was used to date official Jewish documents starting in the year 3449. It is conceded that the Rabbis were concerned about the people under their care accepting the Mishna. (See here the Hebrew word מִשְׁנֶה mishneh, which means properly, a repetition, i.e. a duplicate (copy of a document), or a double (in amount); by implication, a second (in order, rank, age, quality or location). The Rabbinical tradition then came to conclude that the year 4000 marked the close of the “era of Torah”. Sha’ul’s position appears to be consistent with this view of the Pharisees at that time. The authors of the Hakirah article propose that the Sages therefore arranged the chronology so that the redaction of the Mishna should coincide with that date and thus have a better chance of acceptance. So, to be succinct: The Jewish calendar contains a compression that cannot be verified within the historical record, and appears to have a measure of error that exceeds two centuries. 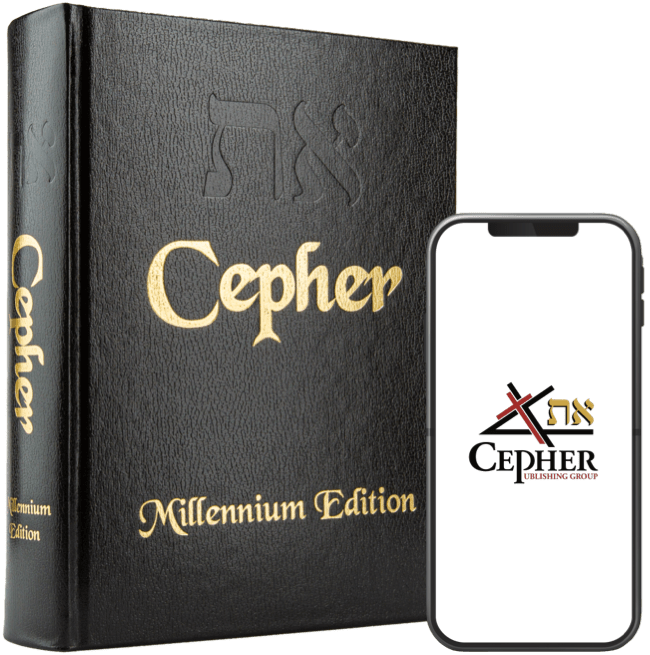 The calendar system was adjusted around the time that the first Talmud (Yerushalmi) was developed, and the system was expressly adjusted to allow for the acceptance of the Mishna as a replacement (a downstream duplicate) of the Torah. Secular dating has problems which are even more numerous, as the sources begin with a prejudice against all matters theological, an assumption that begins with a denial of Yah, conclusions that meet those assumptions, and a desire to accept dating mechanisms (such as carbon dating) that are nothing more than guesses, in order to rewrite history. The calendar begins to tighten, however, based on continuous written history around the 2nd Century BC. That which occurred prior to this time is strictly dependent upon the sacred scriptures as the measuring device that is used to map the events. In the beginning רֵאשִׁית God אֱלֹהִים created בָּרָא אֵת the heaven שָׁמַיִם and אֵת the earth אֶרֶץ. So, the seven words of B’re’shiyth 1:1 equate to the seven days of creation that follow, and according to Kepha (Kepha Sheniy 3:8), the day is as a thousand years to YAHUAH. We consider, therefore that the word eth (אֵת) appears in two places in this verse, at the fourth place (the shamash, or servant light of the menorah), and again at the sixth place (and eth, or אֵתו). Now consider the four iterations where it is uttered “I am the alef tav” (eth - אֵת) in Chizayon (Revelation), namely 1:8; 1:11; 21:6; and 22:13. Consider again, that this alef tav (eth - אֵת) appears over 7,000 times in the Hebrew scripture, but goes without interpretation in the English. (See my other article On the Alef Tav). The proclamation by YAHUSHA in Chizayon the lays the claim that YAHUSHA is the alef tav (eth - אֵת) which appears at the fourth place (the fourth word) in B’re’shiyth 1:1 - the 4,000 year mark - and again in His second advent at the sixth place (the sixth word) in B’re’shiyth 1:1 - on the 6,000 year mark of this very first verse in scripture. Now let us consider Yovheliym (the Jubilee years). And says אָמַר YAHUAH יְהֹוָה, I shall not strive דִּין with the spirit רוּחַ of Adam אָדָם forever עוֹלָם, neither גַּם his flesh בָּשָׂר (besar). Be it והיו (hayah) that his days יוֹם are an hundred מֵאָה and twenty עֶשְׂרִים years שָׁנָה (shanah). This Hebrew term for years - שָׁנָה shanah - is worthy of another look, for while it means year or years, it also means a revolution of time, or whole age. (Strong’s H8141). So, like as our usage of the term weeks, so this term shanah may also apply to the whole age of a Jubilee; i.e., fifty years: Therefore, his days shall an hundred and twenty jubilees. The calculation can therefore be made 120 x 50 years, or 6,000 years. Our equation is then complete, in respect of the six days of creation, and the proclamation concerning the 1,000 years of the reign of Mashiach (Chizayon 20:4). By means of this we shall adjust our calendar to comport with the concept that the first advent occurred at 4,000 years or 80 jubilees, and the second advent will occur at 6,000 years. Can we ascertain this date on the Gregorian calendar? Everyone that passes among them that are numbered from twenty years old and above, shall give an offering unto YAHUAH. And they assembled all the congregation together on the first day of the second month, and they declared their pedigrees after their families, by the house of their fathers, according to the number of the names, from twenty years old and upward, by their skulls. 19 But when Herod was dead, behold, an angel of YAHUAH appeared in a dream to Yoceph in Mitsrayim, 20 Saying, Arise, and take the young child and his mother, and go into the land of Yisra’el: for they are dead which sought the young child's life. 21 And he arose, and took the young child and his mother, and came into the land of Yisra’el. 22 But when he heard that Archelaus did reign in Yahudah in the room of his father Herod, he was afraid to go thither: notwithstanding, being warned of EL in a dream, he turned aside into the parts of Galiyl: 23 And he came and dwelt in a city called Natsariyth: that it might be fulfilled which was spoken by the prophets, He shall be called a Natsariy. * Second, the star traveled slowly, as the Magi saw the star in the east (Matt. 2:2) and traveled to Yerushaliym, where the star went ahead of them (Matt. 2:9). This means the star traveled from the east to the south in a time slow enough for the Magi to make the trip (possibly two months). * Third, the star stood over Beit Lechem. (Matt. 2:9). These three descriptions rule out a planetary alignment, a super nova, or even Venus. Rather, they all imply a comet. While some records indicate a comet in 4 B.C., there is little corroboration in the record. With the current events (four comets in the last four months), it is possible that a comet might make an appearance for some period of time outside of the secular record. On March 23, 4 B.C., which would have been the 15th day of Aviv, the first day of the feast of unleavened bread, or Matza, there was a total eclipse, whereas the year before there were only partial eclipses. However, for those of you who follow the feasts, we can also note that there was a total eclipse on 15 Tishrei, the first day of the feast of tabernacles, or Sukkoth. So, in order for Herod to die between an eclipse of the moon and the following Passover, and to die in the year 4 B.C., his death necessarily followed the eclipse of Sukkoth. Here we have a description that indicates that garments rolled in blood shall be for burning fuel for the fire. Which fire? The fire that disposed of the linen of the Levites following the sacrifices of Yom Kippur on the 10th of Tishrei, five days earlier. And what verse follows Yeshayahu 9:5? The comet appears sometime around the 9th of Av – a famous date in the Hebrew world – and the Magi notice and begin their journey to the west. They arrive in Yerushaliym somewhere between Yom Teruah (Rosh Ha’Shanah – 1 Tishrei [Ethanim]) and Yom Kippur (10 Tishrei). They advance to the Sukka in Beit Lechem to find the infant, having been born on day of the eclipse of the moon on 15 Tishrei, 4 B.C. (September 15) sometime thereafter, but before the family proceeds to Yerushaliym. Then Herod, when he saw that he was mocked of the wise men, was exceeding wroth, and sent forth, and slew all the children that were in Beit Lechem, and in all the coasts thereof, from two years old and under, according to the time which he had diligently inquired of the wise men. So, we have concluded that the birth date is 15 Tishrei [Ethanim] on the calendar of YAHUAH, or September (that is, the seventh [sept] month) 15 on Gregory’s calendar, in 4 B.C. This means that YAHUSHA completes his twentieth year on 15 Tishrei, 16 A.D., which means his 21st year would be 15 Tishrei, 17 A.D. The RUACH ADONAI YAHUAH is upon me; because YAHUAH has anointed me to preach good tidings unto the meek; he has sent me to bind up the brokenhearted, to proclaim liberty to the captives, and the opening of the prison to them that are bound; 2 To proclaim the acceptable year of YAHUAH, and the day of vengeance of our ELOHIYM; to comfort all that mourn; 3 To appoint unto them that mourn in Tsyion, to give unto them beauty for ashes, the oil of joy for mourning, the garment of praise for the spirit of heaviness; that they might be called trees of righteousness, the planting of YAHUAH, that he might be glorified. The RUACH ADONAI YAHUAH is upon me, because he has anointed me to preach the besorah to the poor; he has sent me to heal the brokenhearted, to preach deliverance to the captives, and recovering of sight to the blind, to set at liberty them that are bruised, 19 To preach the acceptable year of YAHUAH. Liberty to the captives, the opening of the prison, and the acceptable year of YAHUAH is proclaimed. Let’s take a look at the Torah definition of the Jubilee. And you shall number seven Sabbaths of years unto you, seven times seven years; and the space of the seven Sabbaths of years shall be unto you forty and nine years. 9 Then shall you cause the trumpet of the jubilee to sound on the tenth day of the seventh month, in Yom Kippur shall ye make the trumpet sound throughout all your land. 10 And ye shall hallow the fiftieth year, and proclaim liberty throughout all the land unto all the inhabitants thereof: it shall be a jubilee unto you; and ye shall return every man unto his possession, and ye shall return every man unto his family. 11 A jubilee shall that fiftieth year be unto you: ye shall not sow, neither reap that which grows of itself in it, nor gather the grapes in it of your vine undressed. 12 For it is the jubilee; it shall be holy unto you: ye shall eat the increase thereof out of the field. 13 In the year of this jubilee ye shall return every man unto his possession. The year of Jubilee is proclaimed by YAHUSHA in the Gregorian year 17. This makes the Jubilee years 17, 67, 117, 167, 217, 267, etc. Consequently, according to the sentence structure of Bere’shiyth 1:1, the 80th Jubilee (the 40th century, or year 4000) occurs at the year 17. That places the 120th Jubilee, or the 60th century on the year 2017. Given these markers, the Gregorian year 2017 then includes the beginning of the year 6,000, beginning on March 28, 2017, or 1 Aviv, 6,000. "Wherefore I have ordained for you the year weeks and the years and the jubilees: there are forty nine jubilees from the days of Adam until this day, and one week and two years: and there are yet forty years to come for learning the commandments of YAHUAH, until they pass over into the land of Canaan, crossing the Yarden to the west." Here, Mosheh tells us that 49 jubilees (2,450 years) were completed, plus one week of years, and two years (equaling nine years), and forty years are to come, which means that 49 years would pass before Yisra’el would enter the promised land, which means Yisra’el entered the land in the 50th jubilee. "Seventy shavua are determined upon your people and upon your holy city, to finish the transgression, and to make an end of sins, and to make reconciliation for iniquity, and to bring in everlasting righteousness, and to seal up the vision and prophecy, and to anoint the most Holy." In this case, the seventy shavua, which could mean simply weeks (490 days, or 1 ½ years), or seventy shavu’oth (feasts of weeks, or 70 years), or seventy weeks of years (490 years). Or it could also mean seventy Jubilee years, bearing in mind that a jubilee is seven sevens, and in this case seven sevens of years. "Seventy jubilees are determined upon your people and upon your holy city, to finish the transgression, and to make an end of sins, and to make reconciliation for iniquity, and to bring in everlasting righteousness, and to seal up the vision and prophecy, and to anoint the most Holy." "And your children shall wander in the wilderness forty years, and bear your whoredoms, until your carcasses be wasted in the wilderness. 34 After the number of the days in which ye searched the land, even forty days, each day for a year, shall ye bear your iniquities, even forty years, and ye shall know my breach of promise." Again, consider that the word for years is shanah, and while it means year or years, it also means a revolution of time, or whole age. (Strong’s H8141). So, like as our usage of the term weeks, so this term shanah may also apply to the whole age of a Jubilee. Now consider the same verse. "And your children shall wander in the wilderness forty jubilees, and bear your whoredoms, until your carcasses be wasted in the wilderness. 34 After the number of the days in which ye searched the land, even forty days, each day for a year, shall ye bear your iniquities, even forty jubilees, and ye shall know my breach of promise." This is the marker that discusses the forty jubilees from the first advent of HaMashiach to the second advent of HaMashiach – the forty jubilees in the wilderness. And, as it is written in the fiftieth chapter of Yovheliym, the last forty jubilees are for learning the commandments of YAHUAH. As we have previously concluded, the Jubilee year in the modern era is 17, 67, 117, 167, 217, 267, etc., placing the 120th Jubilee in the year 2017. So, our markers here depict that from the breath of Elohiym into the nostrils of Adam to the entry of the house of Yisra’el into the land was exactly 50 Jubilees. From the entry into the land until the entry into the land by the whole of the captivity of Yisra’el is 70 jubilees. From the breath of Adam to the first advent of HaMashiach is 80 jubilees (as established in Bere’shiyth 1:1), and the Qodeshiym shall be in the wilderness thereafter for 40 jubilees – from the 80th to the 120th, all of which resolve at the 120th jubilee. This is rather exciting, if you accept that 2017 is indeed the 120th jubilee.